Real estate virtual tours are becoming more popular for properties offered for sale, but are they the next promotional tool property managers should be taking a closer look at? CHALLENGE: As vacancy rates fluctuate, property managers need to find new ways to make their listings stand out and appeal to tenants. 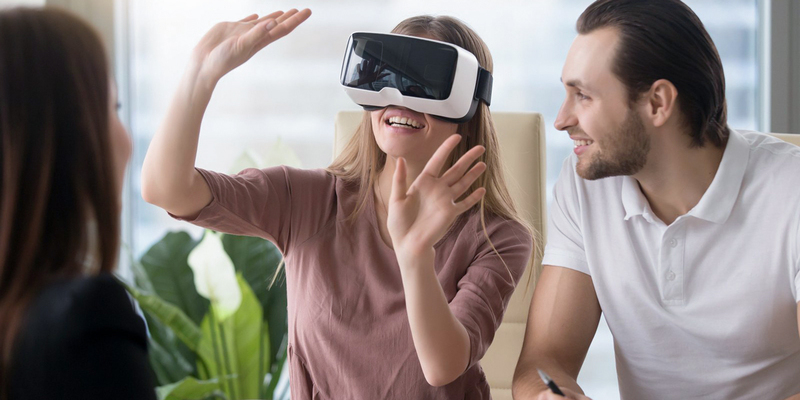 SOLUTION: Technology, like real estate virtual tours, can help agents invite prospective tenants to dive into a rental to enhance their research and engagement. There’s no denying sales and property management are different games. When it comes to advertising a property for sale, it is not uncommon to see a budget equal to one or two percent of the asking price. For most properties, this means the agent can spend thousands of dollars in an effort to make potential buyers aware of the listing. When it comes to property management, however, the budget for promoting the property, with an aim to fill it, is often much smaller and allows only for a very standard combination of channels, like display sites, shopfront and possibly the local paper. On the surface, this distinction seems entirely understandable. A property that is sold will bring tens-of-thousands of dollars into the agency. A property that is rented might bring in less than $100 each week. But filling a property faster by delivering an innovative promotional approach also has its benefits. Firstly, the property owner and the agency stop losing money. Secondly, the property owner is pleased with and impressed by the agency, the relationship strengthens and the owner will also sell their properties through the agency in the future. Thirdly, your rent roll, or even just a portion of it, is a valuable asset, meaning you can sell it all off and make a tidy sum, or you can build it up and sell parts of it so you can reinvest the profit into the business. Making sure you aren’t losing listings to other agents because you can’t fill the property fast enough is very important to business growth! In a fluctuating market, where vacancy rates are on the rise in some locations, going the extra mile to more strategically market and reach more potential tenants can help give you and your business the edge over other agencies. What are real estate virtual tours for property management? You guessed it! Virtual tours for property management are exactly the same as what they are for sales, the only difference is, to-date, they have rarely been used to find renters… but that’s about to change! In the past, 3D tours were expensive — prohibitively so! But now, with new and simple technology being introduced, any agent can take photos and create their own real estate virtual tour in minutes! Most DIY tours are now created by attaching a camera to your phone so you can take 360 degree images of any room. The images are fed into a provided app that you can use to very easily construct an interactive floor plan that potential tenants can dive right into, navigating their way from room-to-room throughout the house! Like video, virtual tours are a promotional channel that can be used all on their own. They are most effective, however, when they are also used as a piece of content in a range of other marketing channels most frequently accessed by your target tenant audience. As an example, as well as having your real estate virtual tour available at its own link on its own landing page, you can also embed it into your property listing page on your own website and most other display sites, like realestate.com.au. This will capture the attention of people visiting those listing pages. Draw people to the listing pages by sending the link to your database via an email campaign, targeting niche audience groups using social media ads on Facebook or Instagram, or even providing the link to people who attended the open but haven’t applied, via a text campaign, to remind them what they liked about the property. Think about it! Imagine the engagement on a Facebook ad that doesn’t just show a flat image or a video, but is fully interactive, allowing your targeted Facebook users to ‘walk through’ a house without ever leaving the social app. A real estate virtual tour is a great addition to a campaign and it can really improve engagement and interest. Get the right tools! EAC members receive a discount on Immoviewer: a camera and app combo that makes real estate virtual tours both affordable and easy to create. Get it, set it and record it! Style your property. Though many rentals don’t get staged, tours will allow tenants to get up-close and personal with all nooks and crannies in the house. Ask the current tenant or landlord to take some time to ensure every room is tidy, clutter-free, well-lit and styled warmly. Always make your property virtual tour part of a larger campaign which uses various channels to reach as many target tenants as possible! * Internal Omniture Data, realestate.com.au time on listing with 3D Tour vs realestate.com.au time on listing without 3D Tour.